A resident at Santa Barbara’s Maravilla Senior Living community leaves an SCE El Niño preparedness event with a blanket donated by the Buddhist Tzu Chi Foundation. Residents receive a free blanket and flashlight as a start for their outage preparedness kits at a recent SCE El Niño preparedness event at Santa Barbara’s Maravilla Senior Living community. Steve Spiller, an SCE consumer affairs representative, stands with two residents of Santa Barbara’s Maravilla Senior Living community after speaking at an El Niño preparedness event. Tzu Chi Foundation volunteers prepare free blankets and preparedness materials to distribute to residents at a recent SCE El Niño preparedness event at Santa Barbara’s Maravilla Senior Living community. Flashlights and blankets are given out during events that emphasize preparing for power outages and staying safe. 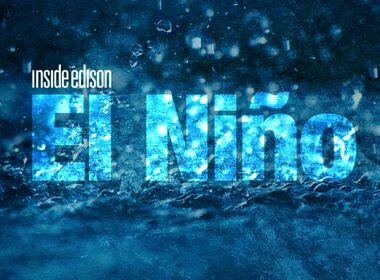 This is one in a series of stories on how Southern California Edison is preparing for the El Niño storm season​. Jill Hyers knew she needed to educate the 420 residents at Santa Barbara’s Maravilla Senior Living Community about disaster preparedness, especially with this year’s El Niño forecast. So the Maravilla program director put together a presentation on stocking up on non-perishable food, water and other provisions and sent out a meeting notice to the community. Seventeen people showed up. Hyers felt a sense of urgency to do more, but she was stumped until Southern California Edison called and offered to co-host a presentation on El Niño preparedness with the American Red Cross and the Buddhist Tzu Chi Foundation. When they made their presentation recently, 180 residents showed up. During the presentation, the group learned about what they need to assemble a disaster preparedness kit and what to prepare for in what could be an extended power outage. To get them started, Tzu Chi volunteers distributed blankets and SCE handed out flashlights. “It was well-run and very organized,” Hyers said. Steve Spiller, the SCE Consumer Affairs representative who spoke at the event, said the presentation is part of the company’s overall effort for El Niño preparedness. Consumer Affairs began making the presentations last September throughout SCE’s 50,000-square-mile territory, hoping to reach as many seniors and medical baseline customers with qualified medical needs as possible. 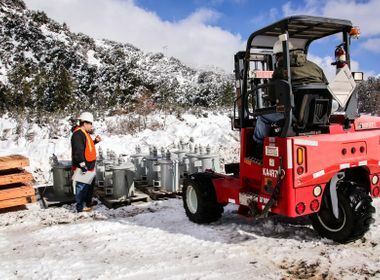 “We have always had disaster preparedness events, but we want seniors to be prepared for potential outages due to El Niño conditions,” Spiller said. Curtis Hsing, Tzu Chi’s supervisor of emergency disaster services, said the foundation has been targeting groups like the homeless and seniors who may be particularly vulnerable during winter storms. They distribute for free what he calls “magical blankets” that are made 100 percent from recycled plastic bottles. The foundation has supplied 1,000 blankets for SCE’s presentations. 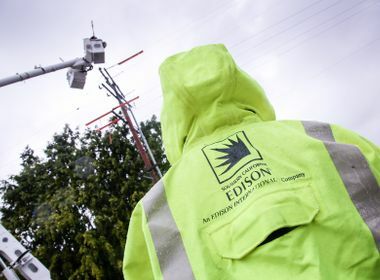 “The goal is to reach as many seniors as we can, providing them with tips on preparing for possible outages due to El Nino as well as overall disaster preparedness,” Spiller said.